The Historic Landmarks Commission has approved designs for the renovation and expansion of the Blake McFall Company building, commonly known as the Towne Storage building. 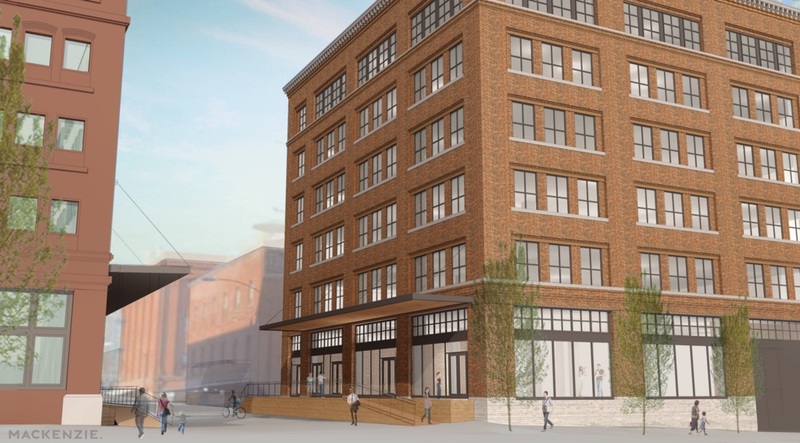 The project by LRS Architects for Sentinel Development and Westport Capital Partners will adapt the existing building for creative office space, with a restaurant space at the ground floor. As part of the project the unreinforced masonry building will receive a seismic upgrade. 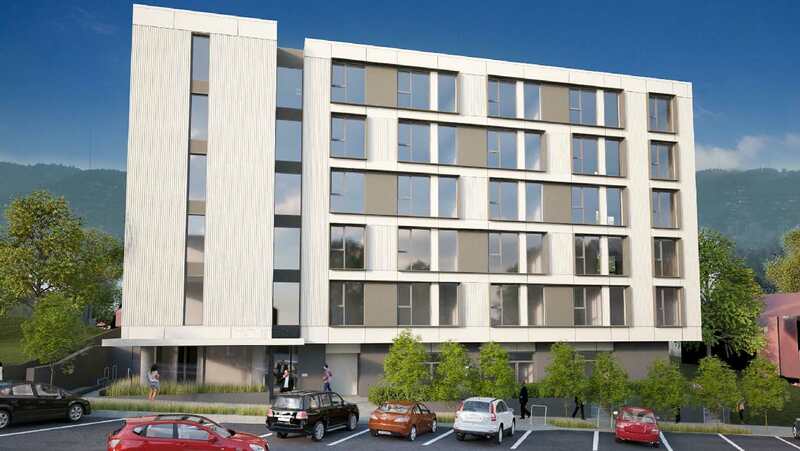 Proposal is for a new five story building with 120 apartment units including 64 group living units with shared kitchens. Proposed 33% parking ratio minus a 25% bike parking reduction will be provided in an undergrd garage. Pre-Application Conference to discuss a Type III Design Review for a new 150-unit, 12-story, market-rate apartment building with ground floor retail and basement parking. Existing building on site is listed on the Historic Resource Inventory. Construct new 3 story (30 unit) apartment building with associated site work and detached. Brooker property. Site demolition, excavation, and tower crane foundation and disconnect site irrigation system. 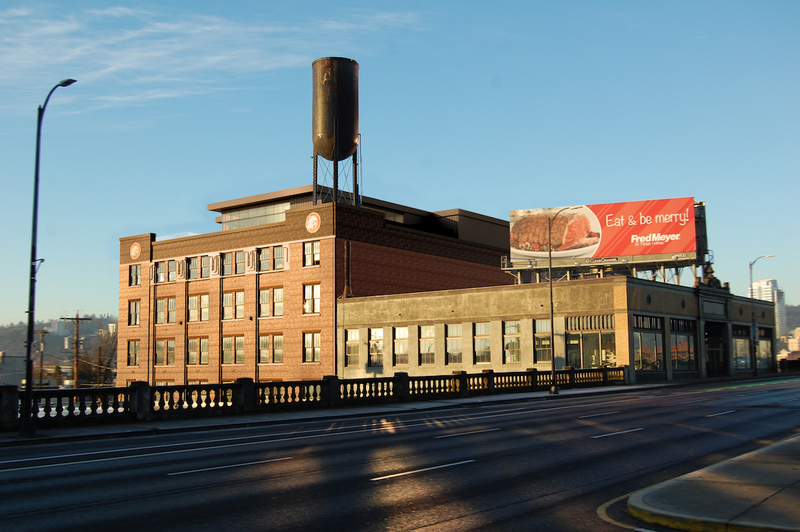 The Portland Business Journal reported that Zoom+ will move its headquarters from Hillsboro into the Pearl West office building. The Willamette Week asked “Has Portland City Hall Learned Its Lesson About Parking Spaces Raising Rents?”, in light of a proposal by the Bureau of Planning & Sustainability to add minimum parking requirement in the Northwest District. The Oregonian wrote about Seattle Mayor Ed Murray’s Housing Affordability and Livability Agenda, which “may provide Portland a blueprint“. Writing in the Business Tribune, architecture journalist Brian Libby revealed that Multnomah County had failed to shortlist Pritzker Prize winning architect Rem Koolhaas for the Multnomah County Courthouse. 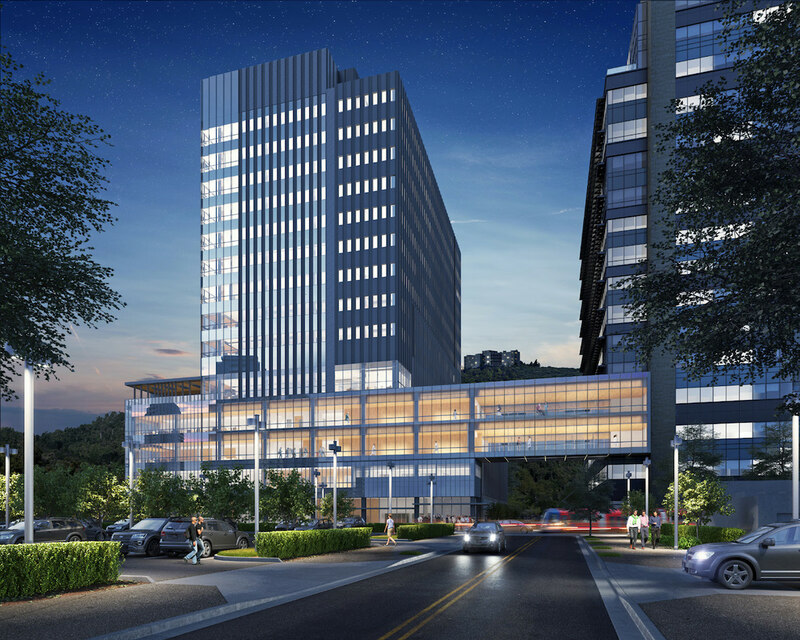 The Portland Business Journal published new images of the OHSU Knight Cancer Research Building. The university expects to break ground on the project in mid-June. The 25,000 sq ft New Seasons University Park opened on Wednesday. 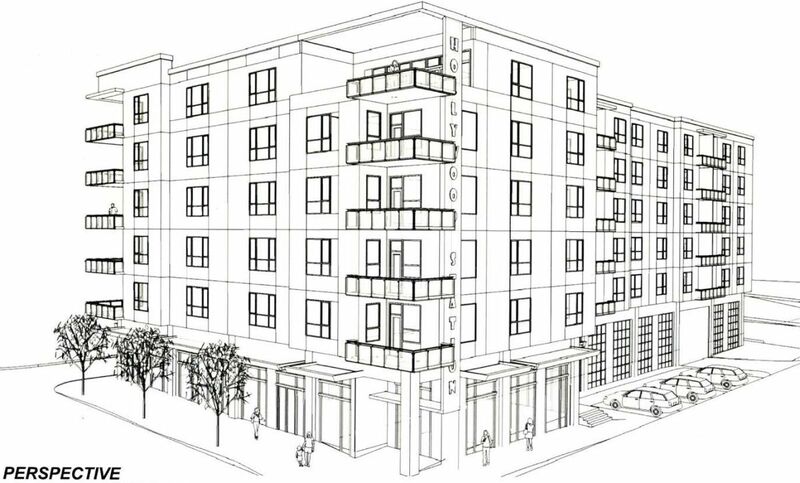 The Design Commission has approved the Market Hill Commons, a new residential building in the Goose Hollow neighborhood. The project will include 16 residential units, 16 vehicular parking spaces and 24 long term bicycle parking spaces. The design of the project is by Texas based Urban Foundry Architecture, who are working with Oregon based architect of record Stephen Gerber. The developer of the project is Scotia Western States Housing. 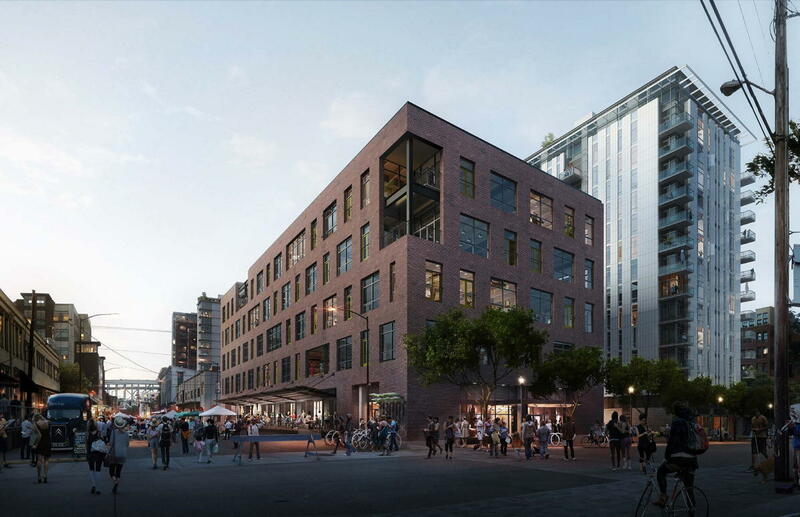 Ankrom Moisan Architects have returned in front of the Design Commission with revised designs for a 16 story tower at NW 14th & Glisan in the Pearl District. The developer behind the 174.5’ tall project is Holland Partner Group. The mixed use building will contain 243 residential unit and 6,414 sq ft of ground floor retail. Parking for 207 vehicles is planned in four levels of below grade parking. This is an updated version of a post originally published on July 8th 2015. 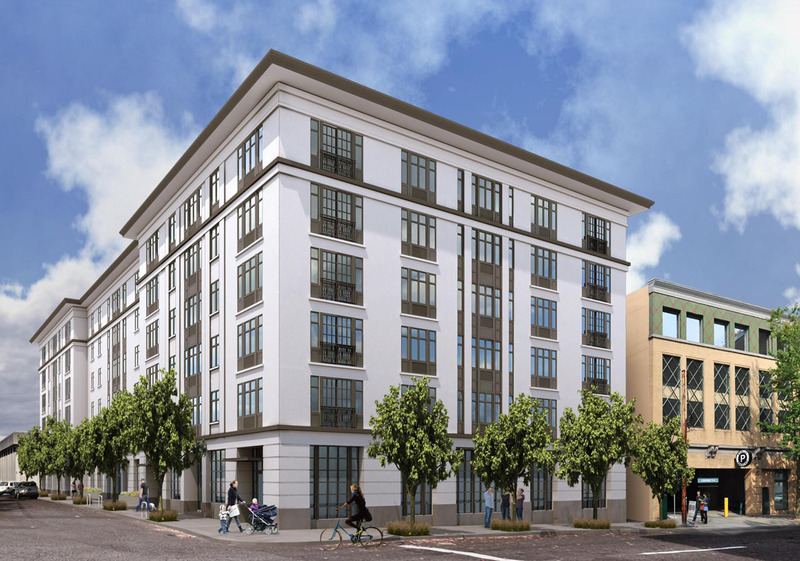 Construction is underway on the North Hollow Apartments in Goose Hollow. 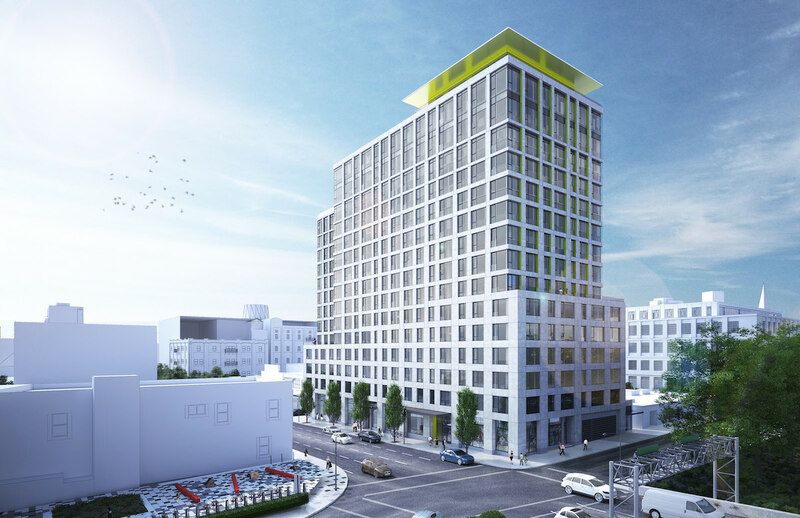 The 6 story building by SERA Architects for developers Molasky Group and Trinity 3 Investments will include 121 residential units, one 900 sq ft retail space and 65 vehicular parking spaces. 184 bicycle parking spaces will be provided. The ground floor of the building will be primarily residential units, however these have been designed in such a way that they will be easily convertible to retail spaces should the demand for retail in the area increase. Through a 10 year property tax exemption passed by the City Council in December, 24 of the units will be reserved for households earning no more than 80 percent of Portland’s median family income.